“Financial support to keep the Maduro regime alive will certainly come at an increasingly high cost for Venezuela in the form of loss of autonomy from Petróleos de Venezuela, S.A (PDVSA) to develop, operate and export oil and gas production from its own fields. Chinese and Russian companies, backed by their governments, have taken the lead as being the lenders of last resort but mainly for reasons that go beyond a short-term business investment rationale. However, the risk exposure in Venezuela continues to increase and Chinese and Russian governments won't give anything for free. 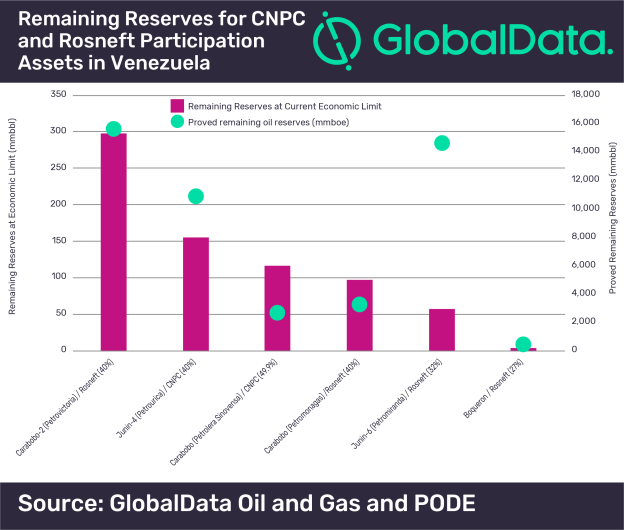 “From Maduro's last visit, there is no formal indication of additional Chinese funding but there is an increase in equity for the China National Petroleum Corporation (CNPC) in Petrolera Sinovensa and more control in the management of drilling, oil services and general procurement in the Orinoco Belt's Ayacucho-6 project. Clearly China's government is negotiating without necessarily offering any additional loans, or asking for something in exchange for just re-structuring of the current Venezuelan debt that amounts to at least US$20 billion and which Maduro's government has real difficulty in paying.